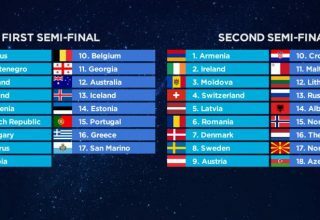 After a nice and relaxed Sunday, the rehearsals and Eurovision 2017 are really beginning to kick into gear today, and tonight sees another landmark of the annual Eurovision experience; Euroclub opens! Fans, accredited press, the organisers and media can all party the night away at the CEC Parkovy (Biznet Tsentr Parkovyy for searching on maps) which is situated on the western banks of the River Dnieper which flows through Kyiv. 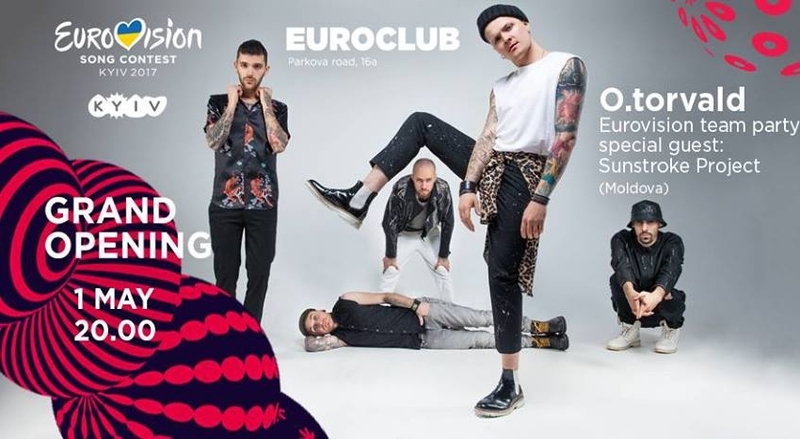 The first event of the season will see our host country’s representative kick things off with a bang – O.Torvald are set to rock the Euroclub stage along with a performance from Moldova’s Sunstroke Project – perhaps we can hear a medley of their various Eurovision attempts so far? The Euroclub will see a packed schedule throughout the next two weeks, with the Eurofan Café opening between 11.00 and 20.00 every day and Euroclub itself opening at 20.00 until late (04.00 on most nights). We will keep you updated with the events taking place in and around Euroclub and Kyiv as we hear more! Will we see #YOU at Euroclub? Share your thoughts with us!